Osteopaths are registered therapists who treat many conditions related to muscles and joint pain. Most people think of us as ‘lower back specialists’. Back pain is what many osteopaths treat a lot of the time, but we can address problems in necks, elbows, shoulders, knees, pelvis, hands and jaws. Wherever there is a joint in the body that moves, we can potentially help. Osteopathic treatment does not just target symptoms, but treats the parts of the body that have caused the symptoms. Osteopaths have a holistic approach and believe that your whole body will work well if your body is in good structural balance. Imagine, for example, a car that has one of its front wheels not quite pointing straight. It may run well for a while, but after a few thousand miles, the tyre will wear out. You can apply this example to the human body, which is why it is so important to keep the body in good balance. Osteopaths at Crossway Clinic use a wide range of techniques, including massage, cranial techniques (sometimes referred to as ‘cranial osteopathy‘) and joint mobilization – this breadth of approach allows us to focus on every patient’s precise needs. Osteopaths assess and treat people of any age from elderly to newborn and from pregnant women to sports people. **We provide cover for major insurers such as BUPA and AXA PPP, please contact the practice on 0161 445 1018 for further details. Melissa Lodge, B Ost, MScPO believes osteopathy can optimise the health of the whole family. Whilst she enjoys treating patients of all ages, Melissa has a special interest in the treatment of babies, children and women during pregnancy. 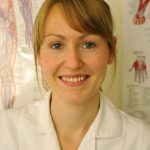 She has been privileged to work with some of the most experienced Paediatric Osteopaths in the UK at the Osteopathic Centre for Children (www.fpo.org), a charity that treats children, from newborns to teenagers, for a wide variety of conditions. She also has experience of working in the children’s ward and with premature babies in the neonatal intensive care unit at North Middlesex and Barnet Hospitals, London, as part of the ‘flying osteopaths’ team with the Foundation for Paediatric Osteopathy. 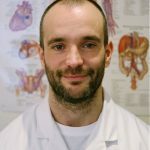 Introduced to manual therapy through massage more than a decade ago, Jose keeps developing a broad approach to the treatment of injury through osteopathy: combining very ‘directive’ and ‘structural techniques’ such as massage, stretching and ‘joint manipulation’, with the very subtle and soothing cranial work. To arrange an appointment with a registered osteopath, or for further information on osteopathy, please contact The Crossway Clinic in Didsbury, Manchester on 0161 445 1018.